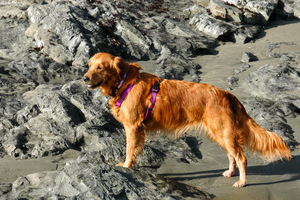 Misty, my first street organ, is named after a wonderful Golden Retriever that we had been blessed with. A retired service dog, we shared her life from 2008 til 2015. She passed over ‘the rainbow bridge’ at the age of 14. She would have enjoyed helping me build this organ. This organ is my “can I do it?” organ. There are lot’s of rough edges…but bottom line I found that I can do it…and that I love doing it. 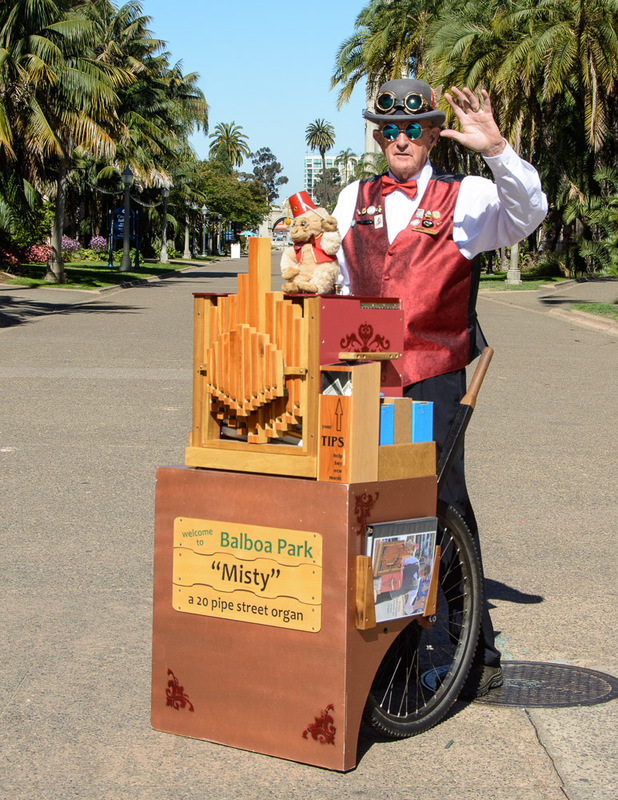 Misty is a 20 pipe street organ. Hand cranked. Two bellows and a reservoir. Music is via 140mm wide plastic (or paper) tape that is on rolls. Each roll holds about 7 minutes of music. Wood that is visible from the exterior is Myrtlewood. The face of the organ pipes is Incense Cedar. Baltic Birch plywood was used for most of the case. The cart is two wheeled, utilizing two large bicycle wheels It is very stable…rolls and balances well, and is capable of maneuvering steps. The plans are from John Smith in England. Hand drawn, concise, with both Imperial and Metric measurements, these plans were invaluable. The air supply can be disassembled. Details and images can be found here. The monkey is animated. Details and images coming soon. As I am out performing with Misty people ask me where I’ll be next week. Finally, I’ve found a reasonable use for Twitter. Just follow @jwcoffee and I’ll keep you informed. Will be playing my street organ at Kobey's Swap Meet mid-day today. Will be playing my street organ at Kobey's Swap Meet mid-day today. Happy St Patrick's day to you.